Eric LOUIS was born in 1966. He holds a license in Law from the Université Catholique de Louvain (1989) as well as a license in commercial law from the Université Catholique de Louvain (1990). 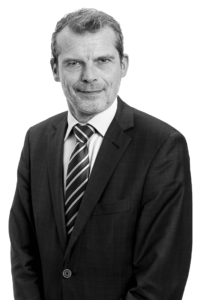 He is specialized in corporate law, law on associations (Belgian and international) and foundations, as well as in commercial law. He has a broad experience regarding merging and acquisitions operations (sale and acquisition of companies, transfer on assets), shareholders agreements and corporate restructuring. He is also active in the field of judicial reorganizations. He was a scientific associate at the Centre Jean Renauld (UCL) and is a current scientific associate at the legal publishing company Wolters Kluwer.